Out of Africa and back to the UK in Q2 proved a busy and highly motivating transition. Through our stall at Merton Dogwatch in May dedicated to our family dog Lucky, through researches into funding organisations and visits to other clubs, to the looming Morden Fun Day in July, I have been pretty busy since coming back to the UK. 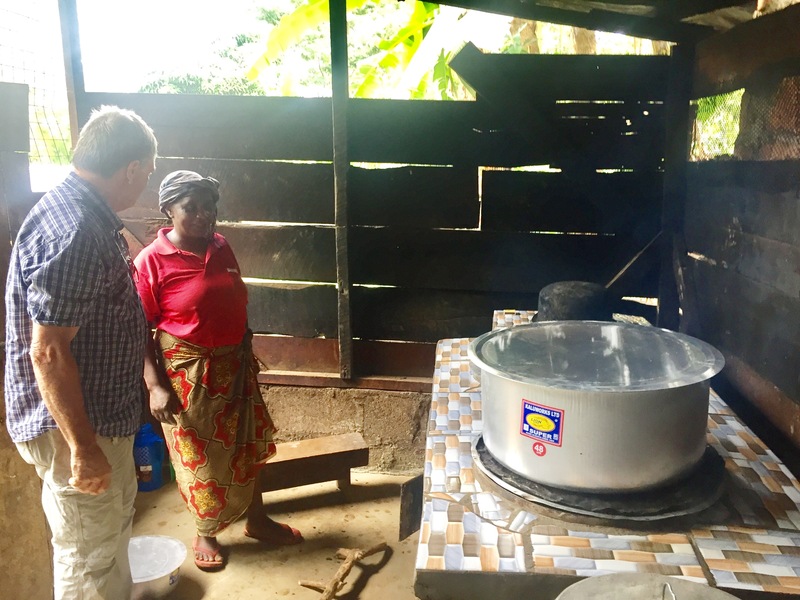 In the last weeks of the 1st quarter I was also able to complete the building of a new cooker for Lyamungo Sinde Primary School as well as the refurbishment of their kitchen. I couldn’t afford a new-build and maybe that will come some time in the future. We are still in favour of trying to raise funds for a community project which admittedly is outside our remit but will be of benefit to the whole community. That’s the bridge-building project. We would also like to raise some extra funds this year as two of our former students have now been accepted into a Vocational Training Programme. It’s good to see our students, Veronica Massawe and Lucy Lema continuing to try to improve their education. They are part of a group of 8 school leavers we have been training in the new computer facility we set up in Q1. Meanwhile I have had a meeting with our former volunteer this year about setting up an exhibition of photos from his visit alongside some of the pictures from my art classes last year. I’ve been looking forward to do something like this for a couple of years now. Watch this space. Finally I will be planning my Autumn programme this year for some new painting classes when I get back. I love doing this as the children are normally not offered this on the curriculum. It is considered unimportant! So, we welcome any ‘likes’, contacts and if you feel so inclined, donations to our projects through the website at ABCD (UK). STOP PRESS! You will now find us linked to Recycle4Charity which allows you to recycle your ink cartridges and old mobile phones with a donation to ABCD (UK). Go to Recycle4Charity to register and send off your recycled materials. Fantastic post John. Well done!